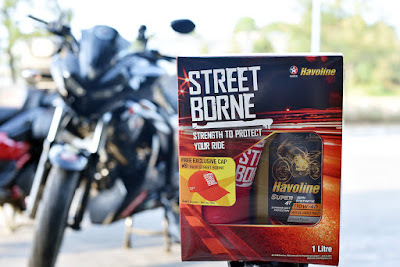 Participating products are Havoline semi-synthetic motorcycle and scooter engine oils which come with street-tested and proven proprietary technologies that address the concerns faced by urban commuters: high engine oil temperatures, hot and humid operating conditions, and challenging stop-and-go traffic. Suitable for a wide-range of both air- and liquid-cooled four-stroke motorcycle and scooter engines, the Havoline Super 4T semi-synthetic comes with various viscosity grades: 10W-30 (recommended by Honda), 10W-40 (recommended by Yamaha, Suzuki, Kawasaki), and 15W-50 (recommended by Ducati, KTM, BMW, Harley-Davidson). “We are excited to kick off the year with this brand-new campaign: Street Borne. Well-aware of the challenges of urban motorists, we have a range of top-quality motorcycle and scooter engine oils that address their concerns through unique product formulation and innovative technologies. Caltex Lubricants has a long and established heritage amongst motorists, and we are always innovating new ways of conveying our brand promises to make their experience on the streets more valuable and enjoyable,” shares Hafiz Nasar, area business manager of Chevron lubricants for the Philippines.